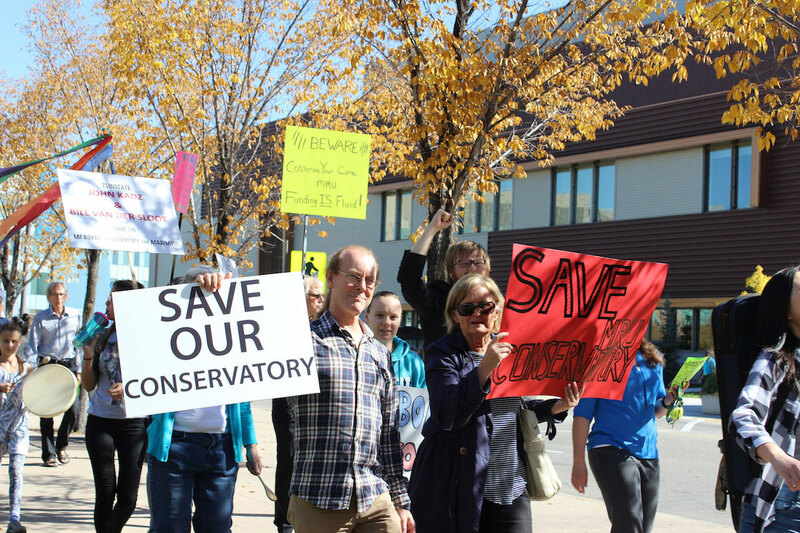 The first chant of the protest expressed the frustrations many students, faculty, and supporters have with the Mount Royal University Conservatory. The anger stems from the termination of two of the conservatory’s teachers- John Kadz and Bill Van Der Sloot. “It all happened when we were notified about our teachers dismissal only two weeks ago.” Andrew Park, a student of the conservatory, explains how the protest began. Dean Charles Webber, who seems to be at the center of the dismissals, announced that the contracts were terminated on Sept. 1, leaving students confused as to why Kadz and Van Der Sloot were still being advertised as part of the faculty on the conservatory’s website. The protest, which took place at noon on Thursday, began with speeches including one from Aleksandra Danicic, a long term instructor in the gifted youth program. Her speech centered on providing facts that are contrary to Dean Webber’s statements. The speech continues to say that Webber carefully planned and considered the contract renewal over the course of 18 months, but neither students nor the terminated individuals were notified until early September. “We really do feel bad about the timing of the cuts, it’s really difficult for students and parents in that kind of setting.” Webber says. 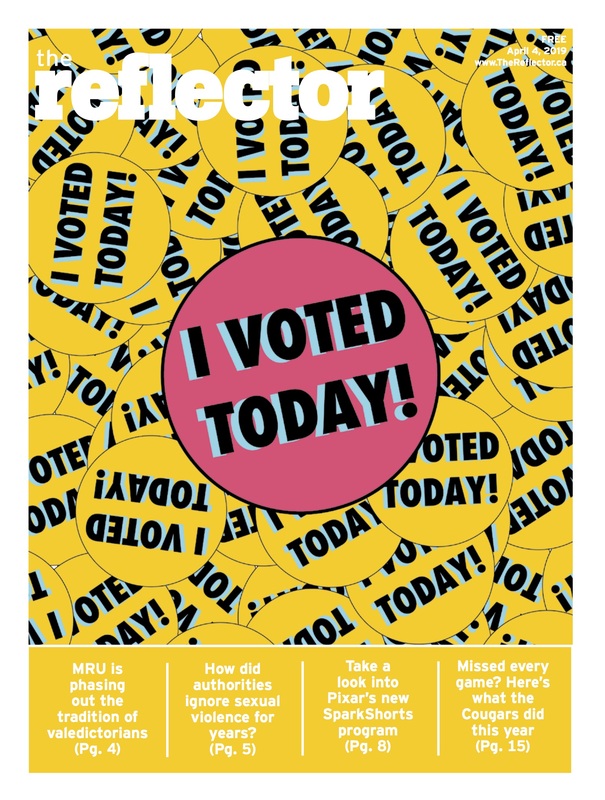 Yet students weren’t satisfied, and Park even approached President David Docherty in the hall, asking about the emails that were sent to him about the issue. An online petition started to raise awareness of the contract terminations has drawn national and international attention, with people commenting globally. “This decision by MRU is shocking and extremely disappointing. Bill and John were responsible for inspiring a generation of instrumentalists all over the world,” a comment from Nikki Chooi, Concertmaster at the Metropolitan Opera in New York City, reads. The protest comes with demands, says Park, including an audit of the continuing education department to see where funds are being moved, and an open discussion to take place between faculty and students who believe their questions haven’t truly been answered. “If this is how MRU treats our long-term, high achieving, respected faculty, how much individual concern can there be for all faculty and students?” said Danicic to the crowd.